Just days after burying her daughter Heidi in a coffin decked with roses and chrysanthemums before hundreds of mourners at a Bremen cemetery, Annaliese Schnaars received an unexpected knock at her door. That, she says, was “probably the worst moment of it all”. Days before on 7 September 1989, Heidi Hazell, 26, the German wife of British army sergeant Clive Hazell, had been killed outside her married quarters in Unna-Massen, a Dortmund suburb. 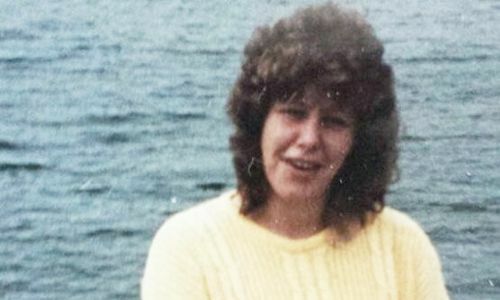 Now, 25 years later, Hazell’s family are seeking to have her murder case reopened, claiming the German authorities have done next to nothing to solve the murder. They are travelling to Belfast this weekend to pursue their cause. It was a balmy autumnal evening when a man in British army fatigues approached Hazell’s British-registered dark blue Saab as she was parking it. Within seconds, he had pumped 14 bullets from a kalashnikov through the car door and window, 12 of which went straight into her upper torso. An army sergeant who was watching the television news in his flat at the time, recalled hearing “high velocity rifle shots … spread over a period of 10 seconds or so”. During the attack the car shot backwards, mounted the pavement and hit a tree. By the time the sergeant had rushed out to help, the gunman had escaped in a getaway car. Spent cases littered the ground. “The front passenger window was shattered … I peered inside the vehicle and saw a woman whom I later realised was Mrs Hazell, slumped at the steering wheel,” he told police. The following day the IRA claimed responsibility for what was its first and only murder in West Germany of a British soldier’s wife. Margaret Thatcher, the then prime minister, and opposition leader Neil Kinnock led condemnation of the killing. They are soon to lodge a request with Germany’s attorney general to reopen the inquiry and have been advised that with so many holes in the original investigation, they can be confident of success. They possessthree binders from the federal prosecutor’s office containing almost 700 pages of evidence gathered by German investigators of a case that has never gone to court. Anan is due to address Stormont on Monday, European Day for Victims of Terrorism, after which she and her husband Joe are due to meet investigators from the Police Service of Northern Ireland (PSNI). The family have called on the PSNI to question the convicted bomber Donna Maguire, 57. She was involved in the IRA’s active terrorist unit operating in Germany at that time. They would also like the police to interview all the other suspected members of the cell, including Paul Hughes, Sean Hick, Roísín McAliskey and Gerard Harte. Dessie Grew, who assembled the group and was responsible for their logistics, was killed by the SAS in 1990. The Anans have contacted Gerry Adams, the leader of Sinn Féin, once the political arm of the IRA, who in an email sent his condolences but said he had no information related to Hazell’s killing. He referred to the September 1989 statement in which “the IRA acknowledges that it carried out the attack in which Mrs Hazell, a non-combatant, was killed” and said that in 2002 “as an important contribution to the peace process, it offered its ‘sincere apologies and condolences’ to the families of all of those non-combatants who were killed or injured by it”. While wishing the family well in their “endeavours”, Adams said that under the terms of the peace process they would have no success in their attempts at legal redress in Northern Ireland. Anan and her mother Barbara pored over newspaper cuttings of the murder, as well as family photographs of Heidi at their home in Morsum, near Bremen, last weekend. They showed a carefree schoolgirl, at her confirmation, in carnival dress, and then in an open casket flanked by candles, laid out in a white dress, clutching flowers..
“People will ask ‘why now, so many years later?’ said Anan, who was 16 when her aunt was killed. “They need to understand that for years we’ve been imprisoned by our feelings of grief, anger and fear – they have ruled our lives up until now. Looking on was Annaliese Schnaars, Anan’s 86-year-old grandmother and Heidi’s and Barbara’s mother, who has dementia. “I can no longer cry,” she said, reaching for her granddaughter’s hand. “But sometimes I think my heart is going to explode. It never goes away. It’s like a pain that shoots through my body from top to bottom.” The family said they had been offered no support over the years, either from the British military or from the German authorities. The family has many questions to ask investigators in Germany and Northern Ireland, such as: why was the hire car used in the murder not checked by forensic scientists until two and a half years after the crime? And why were the details of witnesses who reported suspicious sightings to the British military police, not passed on to the German authorities? The family’s Facebook campaign page is garnering support. It has attracted responses from witnesses who, despite their willingness to be interviewed, were not questioned at the time. IRA sympathisers are also following their quest for justice. One plausible reason as to why the Hazell case stalled in 1989 was the lack of trust between British military intelligence and their West German equivalent when Europe was still in the grip of the Cold War. The fear was prevalent amongst British authorities that any information they gave to the West Germans could end up in the hands of the East Germans who, via the Stasi, had close links with some elements of the IRA. As they leafed through the case files they received last week, finding information that gives them a far more detailed insight into the case than they have ever had, Melanie and Joe Anan repeatedly stumbled across details that make them sit up. Such as ballistics experts proving that the AK-47 rifle that killed British army major Michael Dillon Lee in Dortmund in June 1990 and which before that was used in the attempted murder of an unarmed guard in Langenhagen in May that year, was the same weapon that killed Hazell. “We did not know this before. Such pieces of information are vital in piecing together who did this,” Melanie said. They have also seen pictures of the autopsy for the first time, showing Hazell’s body “riddled with massive holes, like a Swiss cheese”, said Joe. There are some seemingly mundane details, such as discovering that the getaway car was not as they had been told, a black Capri – information given to the police by a dog walker who disappeared and is suspected of having been an IRA plant – but a VW Golf. “Over the years, every time I’ve seen a black Capri it’s sent shudders down my spine,” Melanie said. “We are now seeing this whole case anew”. They are satisfied that German investigators had been piecing together a convincing case. “They were doing a really good job of creating a timeline, but it looks like they were repeatedly blocked from accessing vital pieces of evidence or pursuing certain suspects that might have helped them take the case to court,” she added.